Fairbanks Morse, a century-old engine manufacturer, today re-framed its power generation business into a reliability-as-a-service model, underscoring a shift in customer purchasing preferences that is sweeping energy. Now offering “PoweReliability-as-a-Service,” the global company is riding two large waves in the energy sector. The first is a push by customers for greater electric reliability. 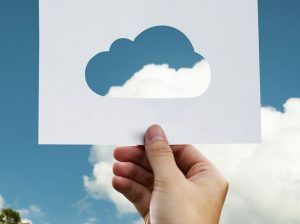 The second is a growing “as-a-service” business model, in this case centered around cloud-based data collection, analysis and controls. “It’s not just about the equipment anymore. It’s about a future-proof and open-based approach…where we are also sharing in some of that risk,” said Kim Getgen, Fairbanks vice president of strategic marketing, in an interview. As-a-service products vary, but they generally take financial and operational pressure off the customer. Rather than buying and operating equipment to generate power, the customer enters into a contract with a partner who owns, installs, operates, manages and maintains the generator on the customer’s premises. The customer typically pays no or little upfront cost and instead contracts only for the energy produced or services provided. 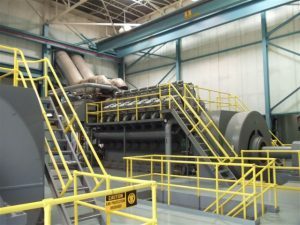 For Fairbanks Morse, the approach puts the company in the business of providing reliable distributed power, rather than just generation equipment, a strategy that brings the company closer to the energy management realm. Reliability-as-a-service works via cloud-based, bi-directional data and control, which allows Fairbanks Morse to monitor its customers’ power generation in real time. The company offers the customer contractual guarantees for fuel and reliability performance. The idea is to reduce the risk and operating expenses for customers that generate their own power. Fairbanks Morse collects data from sensors within its new engines and runs the information through software provided by third parties on the platform. It than collaborates with the customer to achieve tailored goals. The model paves the way for Fairbanks to offer a wide-range of services – from managing the customer’s distributed generators remotely to advising on complex energy transactions within power markets. In addition to optimizing the plant, the platform allows Fairbanks Morse to do predictive monitoring for maintenance, incorporate additional types of distributed generation, and give the customers flexibility to plan long term as new power technologies disrupt the old. Contract and payment structures vary depending on the business case, market and location. In one model a customer pays a flat fee annually and receives the generation equipment and service for a certain number of years. Other customers seek to pay by the operating hour or via shared savings based on a baseline. 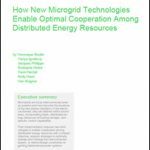 Fairbanks offers its reliability-as-a-service product for a broad range of entities, among them microgrids, communities, independent power producers and large commercial and industrial organizations. “It doesn’t matter what technologies you’re integrating; what matters is that it has the right sensors and parameters, so that the businesses we are partnering with are able to understand what that data means and use it in a meaningful way,” Forbes said. The service is now available worldwide, but Fairbanks Morse plans to focus initially on bringing it to areas of the world that lack reliable power, such as the Caribbean and Africa. “For us, it’s really driven by a purpose to deliver power to the people who need it the most,” Forbes said. In North America, anxiety is growing about electric reliability because of the recent round of hurricanes. 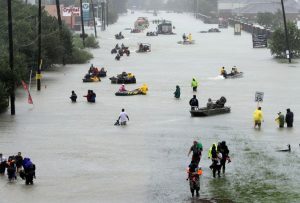 Fairbanks Morse noted that 9 of the 12 most expensive storms in U.S. history happened in the last three years. 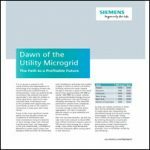 As a result, Navigant Research estimates that annual distributed generation capacity additions will outpace centralized generation three-fold by 2024. The company cited an example of how reliability-as-a-service works with a Caribbean manufacturer located within an unstable grid. The manufacturer decided to install a basic microgrid to produce its own power, steam and chilled water. Fairbanks Morse will initially offer reliability-as-a-service to customers purchasing its new generators, but eventually plans to provide the service for its legacy customers. What is a Reciprocating Engine Generator?